The Quarry at Giants Ridge. When you think about golf courses in the state of Minnesota, the four layouts that immediately spring to mind are the Interlachen CC (where Bobby Jones won the U.S. Open in 1930 en route to his Grand Slam achievement) in Edina, the Minneapolis GC (site of the 1959 PGA Championship) in Saint Louis Park, the Hazeltine National GC (site of the U.S. Open in 1970; the PGA Championship in 2002 and 2009; and, of course, the Ryder Cup in the fall of 2016) in Chaska, and the Minikahdan Club (site of the U.S. Open in 1916, the U.S. Amateur in 1927, and the Walker Cup in 1957) in Minneapolis. While those courses are classic designs worthy of praise from the game’s greatest players, there are two newer courses in Biwabik, Minnesota which are getting rave reviews, as well. They are the Quarry and Legend courses at Giants Ridge (6325 Wynne Creek Drive, Biwabik), just over an hour’s drive north of Duluth. While Giants Ridge has two first-class golf courses, it also happens to be Minnesota’s top family resort vacation destination, featuring multiple outdoor endeavors such as fishing, biking, hiking, canoeing, kayaking, and paddleboarding. There are also opportunities to play disc golf. After many hours enjoying The Great Outdoors, it will be time to ‘hang your hat’ at The Lodge at Giants Ridge Condo/Hotel or the Villas at Giants Ridge. And, in the winter, when golf and other outdoor adventures are not an option, visitors enjoy the many winter sports activities such as snowboarding, ice fishing, snowmobiling, ice skating, alpine skiing, snowshoeing, snow tubing, and Nordic skiing. As for the Quarry golf course, it’s ranked as the top-rated public golf course in Minnesota, the 4th best course of any kind in the state, and is one of the top 20 public golf courses in the U.S. The Quarry course was carved from the remnants of an old sand and gravel mining operation which is surrounded by the forests of northern Minnesota. When the Legend golf course opened in 1997, it was ranked as one of the “10 Best New Upscale Public Courses” in the U.S. by Golf Digest. 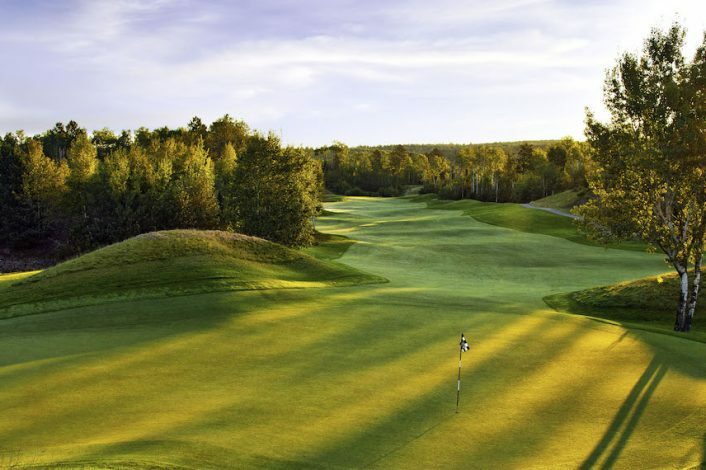 In 2015, the Legend course was listed as the 4th best public golf course in Minnesota and the 14th best overall course in the ‘Land of 10,000 Lakes.’ The website for Giants Ridge describes the Legend course as “breathtaking, serene, awe inspiring, an unforgettable experience” — a very appropriate description for a course which was built in the Superior National Forest. Owned by the Iron Range Resources and Rehabilitation Board, a State agency committed to diversifying the region’s economy, the Quarry and Legend courses offer every golfer a chance to “play golf the way the game was intended,” according to the Giants Ridge website (www.giantsridge.com). Both the Quarry and the Legend courses are designed with four different tees (gold, blue, white and red). The Quarry ranges in length from 5,119 yards (red tees) to 7,201(gold tees), while the Legend ranges in length from 5,084 yards (red tees) to 6,930 yards (gold tees). If you are a golfer who likes to walk, there are special rates and opportunities to play both courses on foot – after 3:00 pm, which is plenty of time to play 18 holes in the summer, which has peak daylight hours. There are portions of the Quarry course where remnants of the old rock and sand quarry are clearly visible. Admittedly, the Quarry has a more rugged look to it, as it has a number of elevation changes throughout the course. The sandy, ‘waste’ bunkers on the course also add to its rugged image. But, it remains a very fair course from beginning to end. Bring your camera when you play the Quarry, but don’t get too carried away with taking pictures and selfies as slow play is discouraged. To be totally honest, it doesn’t take long to figure out why the Quarry is Minnesota’s top-rated public golf course. After playing the first two holes, you quickly realize that this course is as well maintained as any private, well-financed country club in the state. The maintenance staff at the Quarry deserves a pat on the back for a job well done. And, kudos to those who play the course, replace their divots and repair their ball marks on the greens. It makes a difference for everybody who plays golf there. The Quarry is one of those golf courses where you want to do your very best on every shot because every shot has the potential to be a lifetime memory maker. 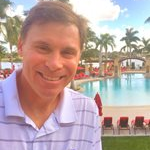 Personally, I’ll always remember holing my greenside chip for birdie on the 2nd hole, the tee shot from the elevated gold tees on the par five 5th, putting around the ‘valley of sin’ on the 6th green, the gracious ‘kick’ to the right on my greenside approach on the 9th, the tee shot on the par four 13th (the Signature Hole), the approach shot to a ‘blind’ pin placement on the 16th, and the tee shot over the water on the par three 17th. The Quarry is the kind of golf course where you’ll always remember and cherish the great shots. You will also conveniently forget the ones that were not so memorable. Another ‘visual’ at the Quarry, which is symbolic of the original quarry, is the rusting metal remnant that sits on a small hill to the right of the green on the long, par four 8th, the most difficult hole on the course. It must be a leftover piece of machinery from this property’s days as a fully operational rock quarry. It’s a fitting reminder of a bygone era. Oh, how times have changed – for the better! Another special aspect of the Quarry can be found on the scorecard. Every hole honors this area’s industrial past as each hole is named after the minelands of today and long ago. Those names include Soudan (3rd hole), Canisteo (6th hole), Miller-Mohawk (12th hole), and Hull-Rust (17th hole). To allow you to efficiently navigate the Quarry and the Legend courses, the starter will give you a yardage booklet on the course you are about to play, which will give you all the various distances on every hole between tees, greens, and bunkers. Simply put, it’s invaluable, especially on your first time playing either course. While the Legend course is less than two miles from the Quarry, it’s a totally different layout. According to head golf professional John Kendall, the Legend is the kind of golf course that you would expect to see in northern Minnesota as it has beautiful lake views, tall pine trees, and a gently rolling terrain. Playing the Legend is a priceless experience because it’s the ultimate golf getaway. Just like the Quarry, when you play the Legend, there are no busy roads with cars driving by, no skyscrapers visible in the distance, and no homes lining the fairways. This course is truly tree-defined. 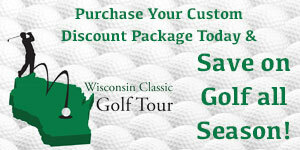 At the Legend, you are in lockstep with Mother Nature. When you play the Legend, keep an eye out for the large fairway sand bunker on the 3rd hole which is in the shape of a giant’s foot with four toes; avoid the pond which guards the par five 9th green and prohibits any attempt to reach the putting surface in two; take note of the pine tree that sits in the middle of the greenside sand trap to the right of the 13th hole; do everything in your power to avoid any of the five fairway sand traps on the par five 14th hole; and do whatever it takes to negotiate the carry over the water on the par three 17th hole. Since both courses are located in the midst of thick forestland, it’s quite possible to see wildlife — such as deer, squirrels, rabbits, snapping turtles, and the occasional coyote — make an appearance on the courses soon after sunrise and closer to sunset. Those sightings only add to the overall experience at Giants Ridge. After all, you are playing golf in the wildlife’s backyard. Another shared trait of the Quarry and the Legend courses is that most of the greens are large, they have significant undulations, and many of them have two or three tiers which presents as many as five different pin positions on each green. The pin positions have variety and diversity at Giants Ridge. While Giants Ridge is located in the northern sector of Minnesota, the existence of two golf courses makes the road trip to Biwabik a worthwhile ‘two-for-one’ golfing excursion and has helped put Giants Ridge on the Minnesota golf map.